Snowshoeing is sport that just about anyone can learn quickly (including children), and snowshoeing has the wonderful advantage of allowing you to access wintry, often untouched Colorado terrain, where it tends to be quiet and wildlife sightings are likely. The idea of snowshoeing might call to mind images of cartoon characters strapping tennis rackets to their feet and trudging through vast piles of snow. In reality, snowshoeing is basically hiking on snow-covered trails, with the use of basic, specialized gear to help distribute your weight atop of the snow. Cross-country skiing distinguishes itself from its slightly flashier cousin downhill skiing in a few ways. Cross-country skiing usually takes place over gentler terrain (although you can certainly glide down hills on cross-country skis as you encounter them), and the effort requires the coordinated movement of skis and poles to propel you across the snow on rolling, flat or uphill terrain. Cross-country skiing has similar advantages as snowshoeing: access to pristine, snow-covered scenery, tranquil trails and a great cardiovascular workout. Step 1: Select a location for your snowshoeing or cross-country skiing adventure. See below for options and ideas. Step 3: Depending on the location you’ve selected (see below), consult the rental shop, Nordic center or visitor center for advice on trails that are appropriate for your experience level. Some will even have trail maps you can carry with you. Then, simply gear up and head out on the trail of your choosing. Step 4: Give yourself time to get into the groove. On showshoes, you’ll feel a bit like an awkward Bigfoot at first, but you’ll quickly get the hang of it. On cross-country skis, expect some huffing and puffing to start, but it won’t take long before you find a rhythm, as you kick, stride and glide across the snow. A lesson may help you make the most of your cross-country ski experience. Many of Colorado’s ski areas and resorts have designated areas for cross-country skiing and snowshoeing, which are a great way to get started on a well-marked and maintained network of trails. 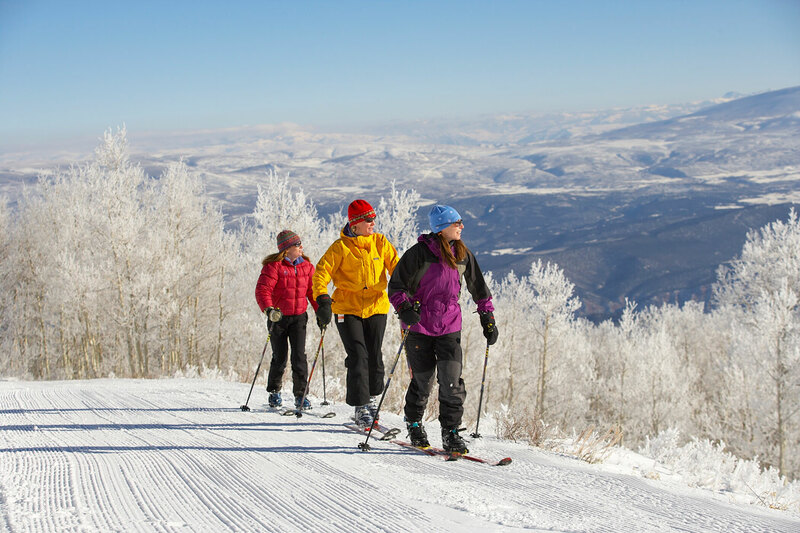 Read Colorado Nordic Centers: Snowshoeing and Cross-Country Skiing for suggestions and for links to more information. Guest and dude ranches and private tour guides offer access to a range of scenic terrain. 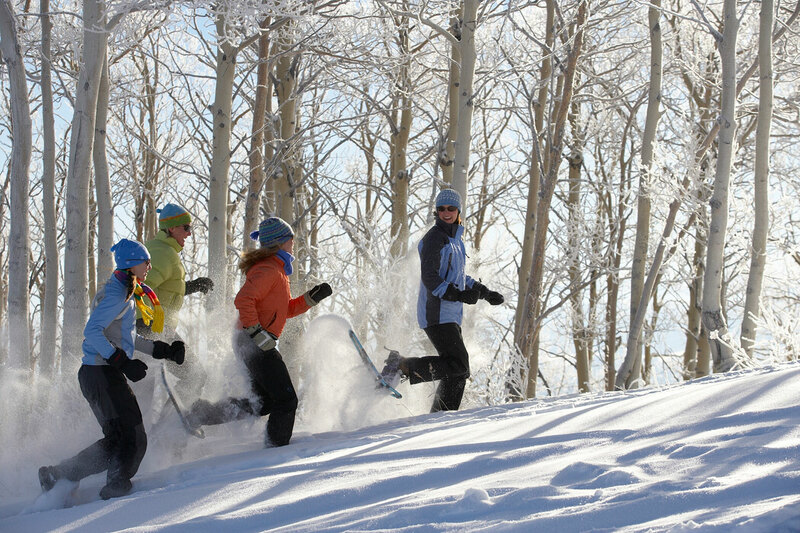 Check out the members of the Colorado Cross Country Ski Association for a complete selection. Photos: Courtesy of Jack Affleck/Glenwood Springs Chamber Resort Association.